Serial Obsession, a four piece band from New York City, make no bones about avoiding modern rock cliches and trends. From the opening chords of 'Here We Come' on their self-titled debut EP, Serial Obsession is about delivering hard hitting roots rock and roll in a compact and efficient package. There are no lost or misplaced moments on this disc. Equally comfortable with ethereal moodiness of the ballad 'Surrender' or the cracking guitar rock of 'Say Goodbye' or the aforementioned 'Here We Come,' Serial Obsession delivers the goods with style and precision. Mike Suozzi sizzles on his leads; Shawn Sugrue shows range and passion; bassist Rosin and drummer Motts are both steady and strong. 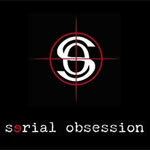 Serial Obsession is a wickedly tight combination of musicianship. The city and surrounds of New York City should be happy to have this band in their backyard. This is solid stuff. New York City's Serial Obsession braves current and mundane modern music trends to deliver a solid serving of homegrown and hard-hitting rock filled with great hooks and ripping fret work.